This collection of essays is great fun, a welcome change from much writing on bioethics in the last few decades. At turns tender, wise, and playful Elliott draws especially on Wittgenstein and some minor literary analysis to try to upend assumptions about how bioethics ought to be done and where it's authority resides. While many of the essays don't quite feel like they're finished or entirely persuasive in their current form, Elliott does a wonderful job of pushing the reader to see tired fights in bioethics in a new light. 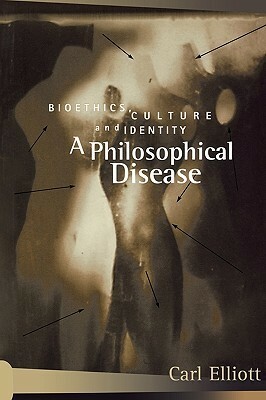 While he doesn't come anywhere close to answers to the hardest question (I suspect by design), he does a good job of provoking hard thoughts about the integrity/coherence of the foundation of contemporary bioethics, what some have considered a non-theistic theology of the modern secular self (to use terms from Charles Taylor in a sloppy way). I'm excited to read his Last Physician after reading his treatments of Walker Percy in these essays. Carl Elliott - Carl Elliott prefers to write about himself in the third person in order to give the impression that he is too important to write his own biography. A native of South Carolina, Elliott currently teaches bioethics and philosophy at the University of Minnesota. His articles have appeared in The New Yorker, The Atlantic Monthly, Mother Jones, Slate, The London Review of Books, and The New England Journal of Medicine. His younger brother ridicules him periodically at the website wwhitecoatblackhat.